There's little denying that ever-present devices and always-on networks have taken a toll on basic social interactions - it's never been easier to be with friends or family without really being there. 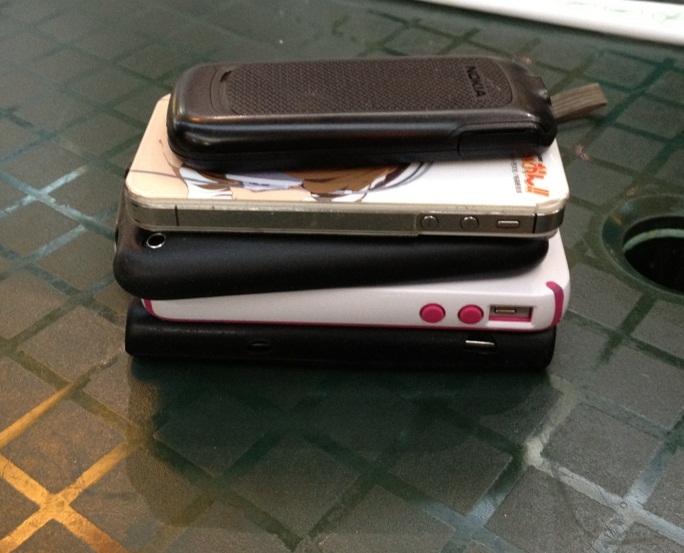 To combat this, some people make rules: I'm sure oodles of parents enforce a strict "no phones at the dinner table." To apply it to your peers, though, takes a little something extra - and gamifying the rule might just do it. This game, most commonly called Phone Stack, is pretty simple: stack your phones on the table at the beginning of a meal, and whoever breaks the stack first pays for everyone. It makes your buttons unpressable, literally - unless you want to pay. In the meantime, I guess you'll have no choice but to socialize with the other people who are actually there!